Jan’s Towing gets a letter in the mail that asked for $6,200 dollars that he owns Lake County Sheriff Department. Jan had said from “day one” that this was an illegal tax (franchise fee of $50 dollars), and he wouldn’t charge his customers for it. 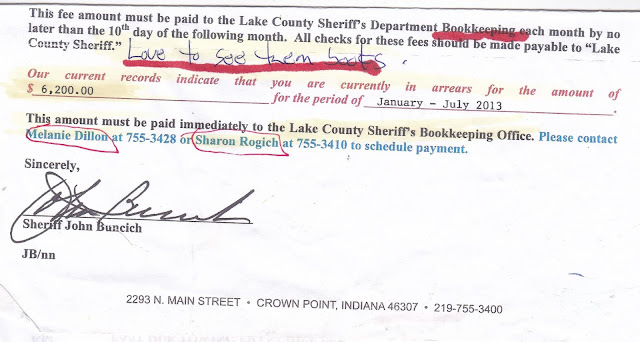 Thus, this collection letter in 2013, and Jan didn’t pay a dime. He told them to blow it out of their asses. Jan made his point. “You never got a follow up letter, phone call or bill collector hounding you for six grand,” Street probed. “Nope, none of that,” Jan tells me as we talked. “I’m from Missouri, Jan. You got to show me,” Street tells him. “Oh, you think I’m blank blank,” Jan fires back. “Little baby can talk,” Street comes back on him. “I’ll have that letter tomorrow,” Jan tells me. 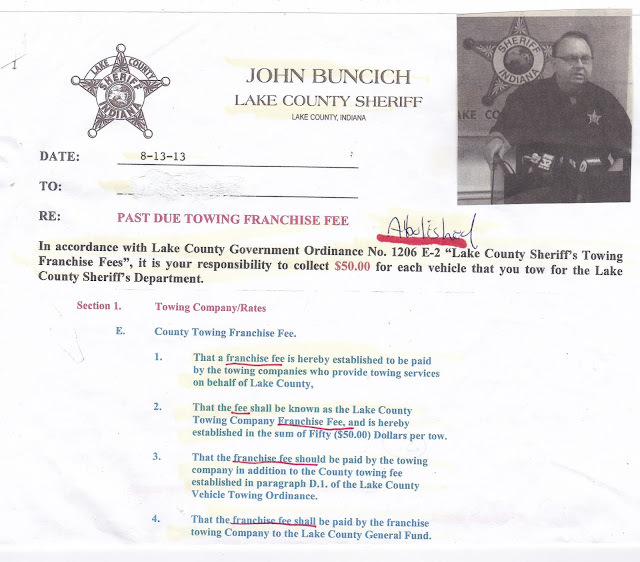 Sheriff never squeezed Jan’s Towing for $6,200 dollars because there were other tow truck operators who also didn’t pay the $50 dollars franchise fee… Then this $50-dollar franchise fee was suddenly abolished and goes just like that. Kundich, a gal from New Chicago and a county politician allegedly “on deck for downtown Hohman Ave.